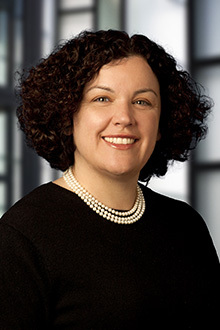 Angele K. Cicala is an of counsel in the San Francisco office of Lewis Brisbois and a member of the Healthcare Practice. Her practice focuses on complex professional negligence matters in State and Federal court often involving intricate issues of civil litigation practice and procedure. Ms. Cicala’s practice principally concentrates on healthcare matters. She has broad experience in healthcare litigation, investigations and counseling. She has successfully represented healthcare providers, individuals and health care related business clients in civil litigation in both Federal and State courts. She has counseled and represented clients on matters relating to medical malpractice, elder/dependent adult neglect and abuse, wrongful death, violation of patient rights, fraud, breach of contract, Proposition 65 and other claims under the Code of Federal Regulations and California Code of Regulations. She also provides counseling and representation related to investigations by the California Department of Public Health Services. In addition, she has had significant involvement in counseling and implementing effective risk avoidance practices, policies and procedures for diverse healthcare business such as medical staffing companies, skilled nursing facilities, assisted living facilities, continuing care retirement communities and acute care hospitals. Ms. Cicala’s practice also focuses on a variety of other matters including construction defect matters, general liability, complex products liability actions involving significant medical issues and employment law. Ms. Cicala also provides consultation and representation on development of risk avoidance and policies and procedures for insurance brokers and their clients. She has been nominated by general counsel as a preferred individual attorney in healthcare litigation.